We are so excited for our Annual Celebration on Wednesday, August 23rd at 5pm. We wanted to give a shout out to our sponsor (as well as thank our auction item donors, see auction item post for more info on the auction and raffle). Thank you to these amazing businesses for supporting environmental education. Fratelli’s Pizza! They will be bringing their pizza truck and providing us with deliciously fresh pizza and salad (make sure you arrive on time, as they will be serving pizza from 5-6pm). Joy Cone for donating ice cream cones (including gluten free ones!) for the dessert. Because it’s not a party without the ice cream. 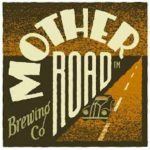 Mother Road Brewing Company who will be donating their locally brewed beer.